The golden square ratio is equal to the square of the golden ratio and its decimal figures are totally the same as those of the golden ratio. The silver ratio is equal to the square of the silver ratio. The golden rhombus, silver rhombus, golden square rhombus, and silver square rhombus represent the rhombus whose diagonals are respectively in the golden ratio, silver ratio, golden square ratio, and silver square ratio. Also, the silver square rectangle and the golden rectangle are those whose side lengths are in the silver square ratio and golden ratio, respectively. In advancing these researches, various advices have been given from such distinguished mathematicians as Ikuro Sato, Hitotsumatsu Shin, Koji Miyazaki, Yasunari Watanabe, and Jin Akiyama. They have proved to be highly instrumental for me in proceeding with my study. Especially, Mr. Sato has kindly provided me with a lot of time-consuming support including calculations of dihedral of newly-created polyhedra. I am greatly thankful to them. The Great Pyramid of Giza, Egypt is based on both the golden ratio and the silver ratio. 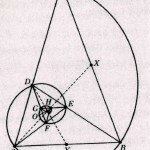 It is generally believed to be in the shape of regular quadrangular pyramid. This is not true. In actuality, the Great Pyramid is in the shape of octahedron. It is equal to two units of regular quadrangular pyramid joined together with their square base in common. It can also be said that the Great Pyramid consists of four golden rhombuses which are mountain folded along the shorter diagonals. These rhombuses share the same two vertices of acute angle. The silver ratio is included in the square base. The golden ratio and the silver ratio are complementary to each other in three dimensions. 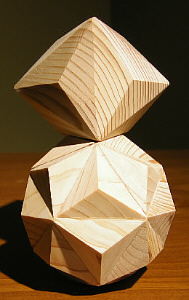 As shown in the right-hand side figure, a convex portion of the triakis octahedron tightly fits into a concave portion of the triakis icosahedron. The golden ratio and the silver square ratio are complementary to each other in two dimensions. The combination of the golden ratio and the silver square ratio enables tessellation that is the process of creating a two-dimensional plane using the repetition of a geometric shape with no overlaps and no gaps. 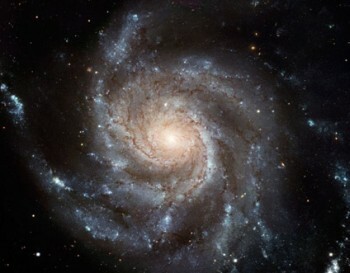 There exist, in total, six kinds of logarithmic spiral that are based on the golden ratio, silver ratio, golden square ratio, and silver square ratio. The silver square rectangle includes the infinite number of the golden rectangles. Each of these discoveries are written in a paper and included in this website for reference. If a cube is projected into the three-dimensional space from the four-dimensional space, six-dimensional space, ten-dimensional space, and twelve-dimensional space under certain specific condition, it respectively becomes the rhombic dodecahedron, rhombic triacontahedron, rhombic enneacontahedron, and rhombhecto-triadiohedron. The rhombic dodecahedron is composed of 12 silver rhombuses. 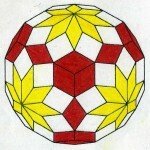 The rhombic triacontahedron is composed of 30 golden rhombuses. 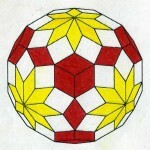 The rhombic enneacontahedron is composed of 60 silver rhombuses and 30 golden square rhombuses. 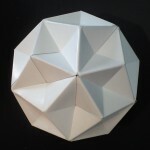 The rhombhecto-triadiohedron is of two types and each one consists of three kinds of rhombus. Refer to the sketches below. In view of the above-mentioned facts, these rhombuses are analogized to correspond to either the silver rhombus, golden rhombus, silver square rhombus or the golden square rhombus. However, this has not been confirmed yet. Furthermore, the following points have not been elucidated and they are still veiled in mystery. 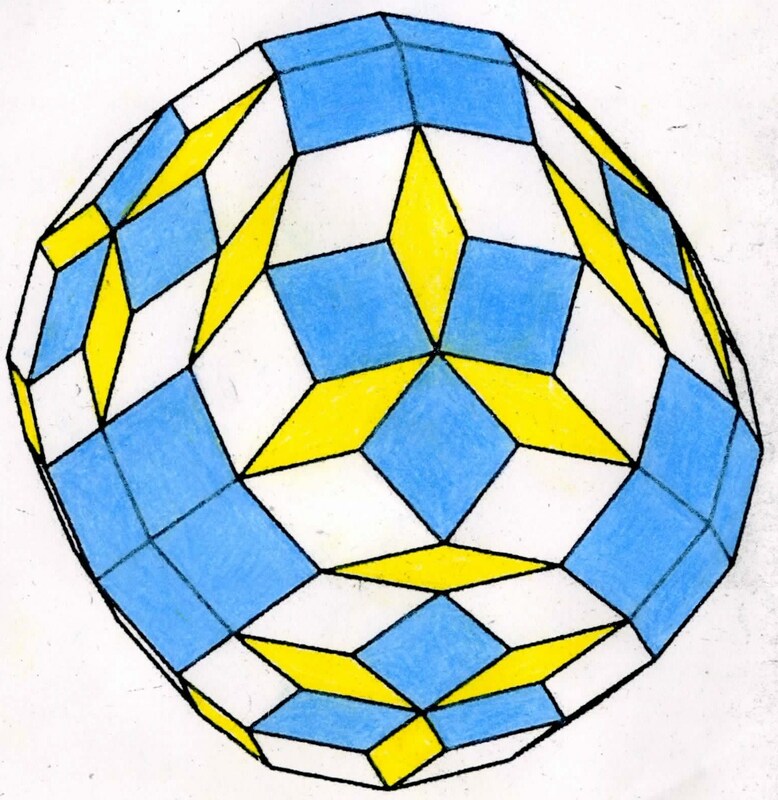 Why a cube in the higher-dimensional space is transformed into a rhombic polyhedron when it is projected into the three-dimensional space under certain specific condition? 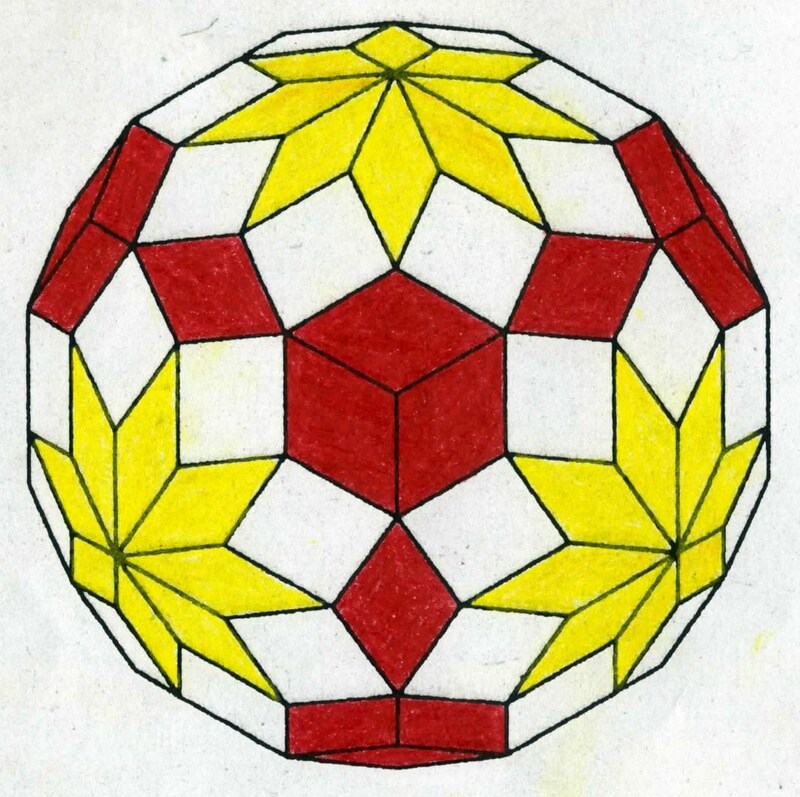 Why such rhombic polyhedron is composed of a rhombus or rhombuses based on the aforementioned special ratio, i.e. the silver rhombus, golden rhombus, silver square rhombus or the golden square rhombus? To solve some mysteries is my future task. Sacred Geometry: Cuboctahedron and Tetrahedron are both based on the Silver Ratio.